The incorporeal threads of magik stretch across the multiplex planes of the cosmos and are bound by the ectoplasmic Ether that passes through them all. Mystics have learned the arcane rituals whereby they might train their minds to tap into these magikal conduits and bend it to their will as well as accessing the pathways of the Astral Plane. Their magik takes a particular form, given its focus on Mentalism and Divination. Mystics are the predictors of the future, the finders of secrets, and the readers of minds. Sporting the tattoos that act as the trigger of their magiks, the Mystic is a figure of mystery and curious speculation. This is partly due to the nature of their spells that focus on the minds and emotions of others and partly because they activate these magiks with nary a word whispered. In some places Mystics are revered as great teachers and in others they are hunted as manipulators of men’s souls. Whatever the truth may be, it is certain that they wield some of the most powerful magik on Aeres but as the great philosophers have said, no great power comes without its price. 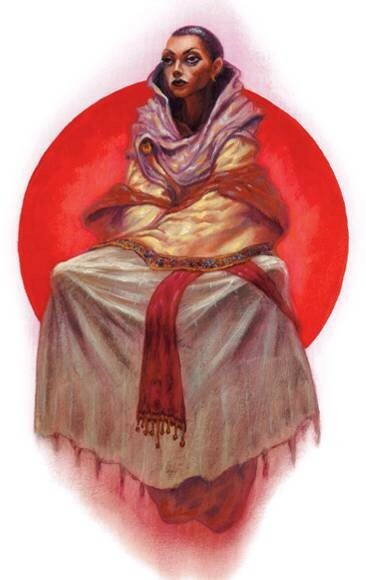 The Mystic class has Intelligence as its primary attribute with Constitution and Wisdom secondary. The Mystic spends her life perfecting the power and focus of her mind, and thus masters several key skills through course of her career. Con: 10 Mental Prowess: The Mystic has mastered techniques by which she may guard her mind and soul from extra-planar powers and mental influence from all sources. Thus, she cannot be possessed by creatures of the outer planes and gains resistance to telepathic influence, 20% + 3% per level. Con: 11 Precognition: Gains a limited precognitive ability that acts as a sort of “sixth sense”. The Mystic gets a sensation of being watched or followed on a 1in 6 under appropriate conditions. Con: 12 Empathic: The Mystic gains the ability of Empathy. She detects the surface emotions of any creature she can see that is in the power’s area (30’ radius centered on Mystic). She can sense basic needs, drives, and emotions. Thirst, hunger, fear, fatigue, pain, rage, hatred, uncertainty, curiosity, friendliness, and many other kinds of sensations and moods can all be perceived. Confers +2 to all Haggle, Rhetoric, and Leadership skills. The use of this skill requires one full round of concentration and 1 PP per level of target. Wis: 15 Psychic Prowess: Any direct spells by another Mystic must first defeat your Psychic Shield before it can affect you. The use of Mentalist magik against you begins an Essence conflict. The first Mystic to fail a roll against their Essence becomes a target of a spell. If ten consecutive rolls are made versus a particular spell then the defender is immune from the effect of that spell for the remainder of the encounter. – The Mystic does not require somatic or material components for her magik as the spell is literally tattooed onto her skin and by means of a secret ritual she has learned to access this magik with either a thought or brief incantation. – Working with the very stuff of the Cosmos, the Mystic understands more fully the method by which Talismans operate and so she gains a +2 to all saving throws vs. Talismans. Mystics pay attention to details and to that which is seen and unseen. As such they develop certain abilities as they develop their minds. The most closely guarded secret of the class of Mystics is the ritual of the Tattoo. These stylized tattoos are inked onto the Mystic, one for each spell that she learns. The tattoos then work in conjunction with the Mystic’s Essence to permit casting of their spells without the need for somatic and verbal components. The tattoos tend to increase in size with the level of the spell and so the Mystic must be careful as she advances in levels to be sure that she has space on her body. The tattoos may not cover the head or the feet. Once she has no more room, she must forego the spell or undertake the painful process of removing other tattoos to make room. It is clear that the design is not the key element of their power because there are several different styles of tattoos depending on geography. The character must have a minimum of 15 Intelligence, 10 Constitution, and 12 Wisdom. Mystics learn their craft from another Mystic who then becomes their Mentor. This mentor will teach the Mystic the ability to train their mind to sense the threads of the Ether and then by inscribing a Tattoo on them allow them to harness this magik. The Mentor will charge them for time and materials, which becomes more costly as the Mystic advances. The social status of a Mystic will often depend on the society in which they are raised but next to the Magician are viewed with the most suspicion. 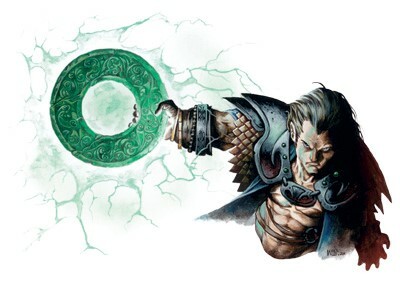 They gain the minimum number of spells per level from their Mentor, who also inks the Tattoos necessary for the casting of his spells on the Mystic. At 9th level the Mystic no longer requires a Mentor but must seek out other Mystics from whom they might learn a new spell and gain a new Tattoo. The Mystic is also able, at this level, to teach others and ink Tattoos on them. The Mystic’s spells are of a broad category of spheres with a strong focus on Mentalism. Hammer Psychic Push Psychic Stun Telekinetic Force Telempathic Proj. Psychic Blast True Metabolism Telepathic Proj. When this spell is cast, the wizard is able to understand the spoken words of a creature or read an otherwise incomprehensible written message (such as writing in another language). In either case, the wizard must touch the creature or the writing. Note that the ability to read does not necessarily impart understanding of the material, nor does the spell enable the caster to speak or write an unknown language. Written material can be read at the rate of one page or equivalent per round. Magical writing cannot be read, other than to know it is magical, but the spell is often useful when deciphering treasure maps. This spell can be foiled by certain warding magic (the 3rd-level secret page and illusionary script spells), and it does not reveal messages concealed in otherwise normal text. The material components of this spell are a pinch of soot and a few grains of salt. You take control of your body’s healing process, curing yourself of 1d12 points of damage. As usual, when regular damage is healed, an equal amount of nonlethal damage is also healed. You can adjust your body’s equilibrium to correspond with any solid or liquid that you stand on. Thus, you can walk on water, quicksand, or even a spider’s web without sinking or breaking through (this effect does not confer any resistance to particularly sticky webs). You can move at your normal speed, but you cannot run (×4 speed) on an infirm surface without sinking or breaking through. You lead a caravan into the Astral Plane, leaving the Material Plane behind. Since the Astral Plane touches upon other planes, you can travel in Astral form to any of these other planes as you wish, but only if you know your way (see below). If you spend 2 additional power points, this power weaves a quasi-real filmy membrane around yourself and all those adjacent to each other in the caravan (being linked by hand is not required if this membrane is used). You remain visible within the translucent, amorphous enclosure. You can pick up or drop willing passengers, easily reaching through the film. Anything you hold is enveloped by the film. Any attacks made through the enclosure in either direction have a 25% miss chance due to the rippling membrane. Creatures in range are also subject to magical and Mentalism effects of 3rd level or lower. Creatures that have an affinity to you gain a saving throw against each new power transferred through the affinity field as if the power were manifested upon them normally. All magical and Mentalism effects transferred to subjects fade at the end of this power’s duration, although instantaneous effects remain. If you suddenly become immune to a particular effect or power, the effect or power to which you are immune cannot be transferred to creatures that have affinity to you. By using this power, you delete 1d4 powers permanently from the subject’s mind. You specify the level of each power, and the game master randomly determines which of the subject’s powers is actually deleted. Psychic chirurgery or reality revision can be used to restore the lost powers, but it must be performed within 1 week of losing the powers.